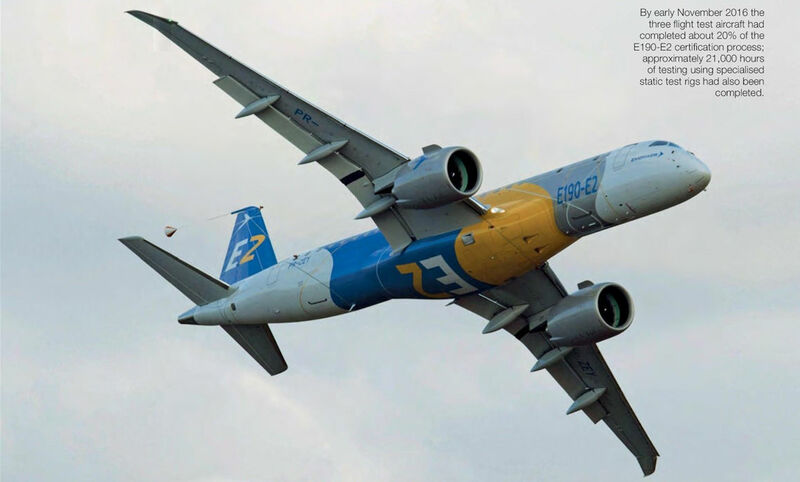 By early November 2016 the three flight test aircraft had completed about 20% of the E190-E2 certification process; approximately 21,000 hours of testing using specialised static test rigs had also been completed. 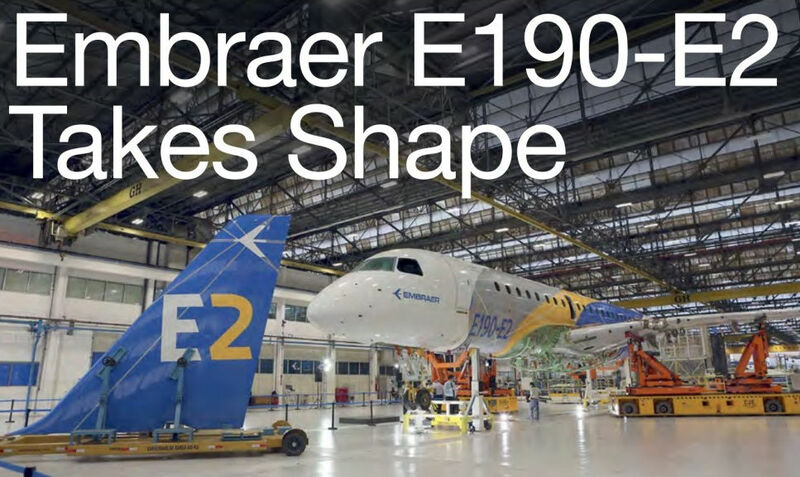 The E190-E2 is scheduled to enter ser­vice in 2018, followed by the E195-E2 in 2019 and the E175-E2 in 2021. The first prototype E2, PT-ZEY(c/n 20001), pictured during its May 23, 2016 first flight. 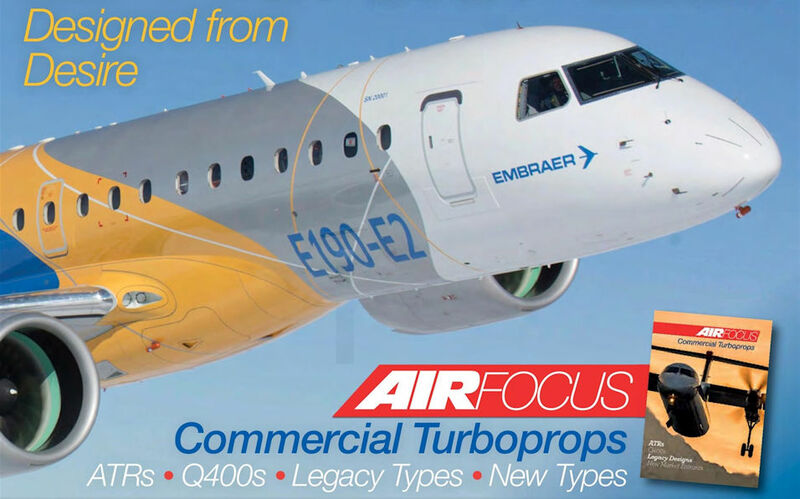 The E190-E2 is optimised for 97 to 114 seats, the E195-E2 for 120 to 146 seats and the E175-E2 for 80 to 90 seats. Two of the three E190-E2s involved in the flight test campaign: these aircraft will be joined by a fourth prototype in early 2017. 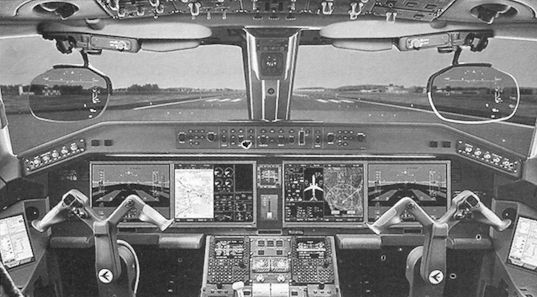 The 73-inch (1,854 mm) fan diameter on the E190-E2’s Pratt & Whitney PurePower PW1900G engines compared to the General Electric CF34s on the first-generation E-Jets is apparent here. The E190-E2 rolling out from Embraer’s Sao Jose dos Campos facility. 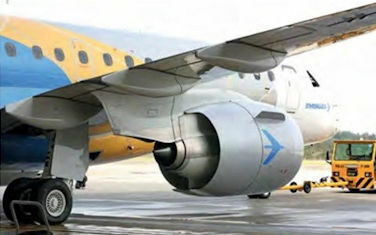 The aircraft is due to fly in the second half of this year. 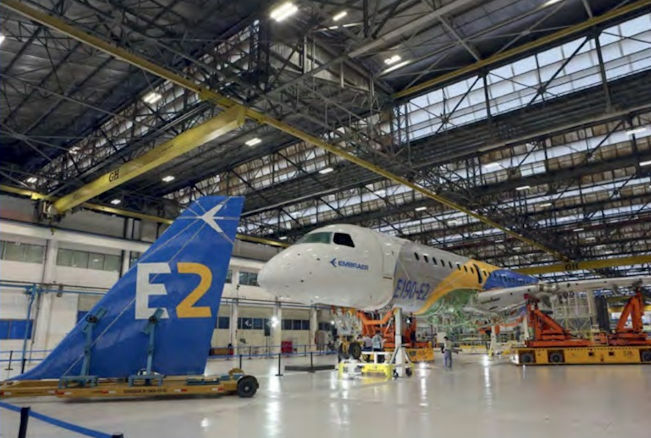 The initial E190-E2 on the assembly line; its first flight is scheduled for 2016. 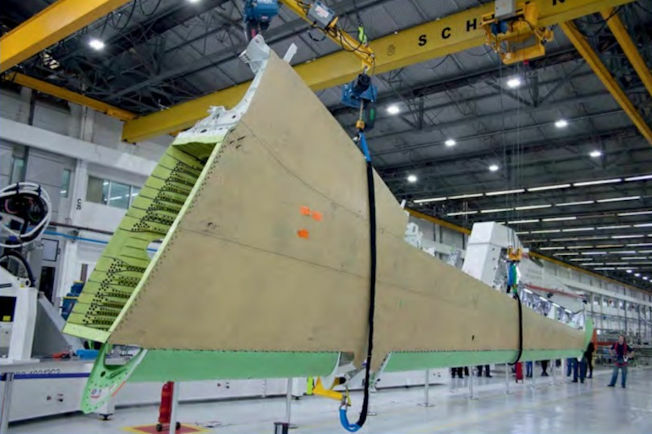 Each of the new E-Jet variants has a new, higher aspect ratio wing, which is more aerodynamically efficient and tailored to the size of the aircraft. 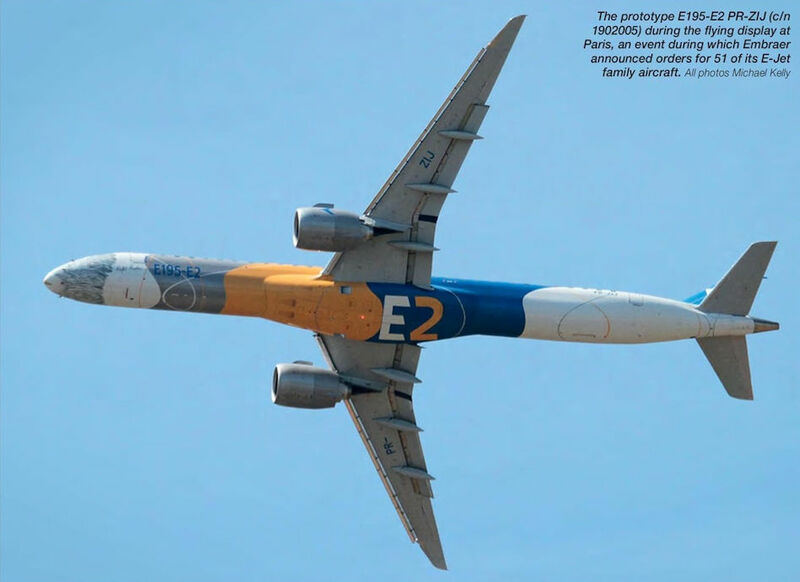 The prototype E195-E2 PR-ZIJ (c/n 1902005) during the flying display at Paris, an event during which Embraer announced orders for 51 of its E-Jet family aircraft. 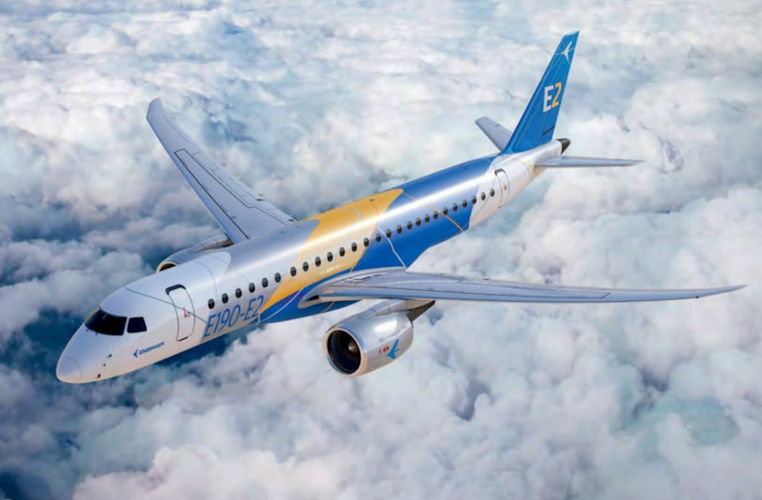 Early March saw Embraer present the first E195-E2, which at 41.5m long is the longest E-Jet E2. 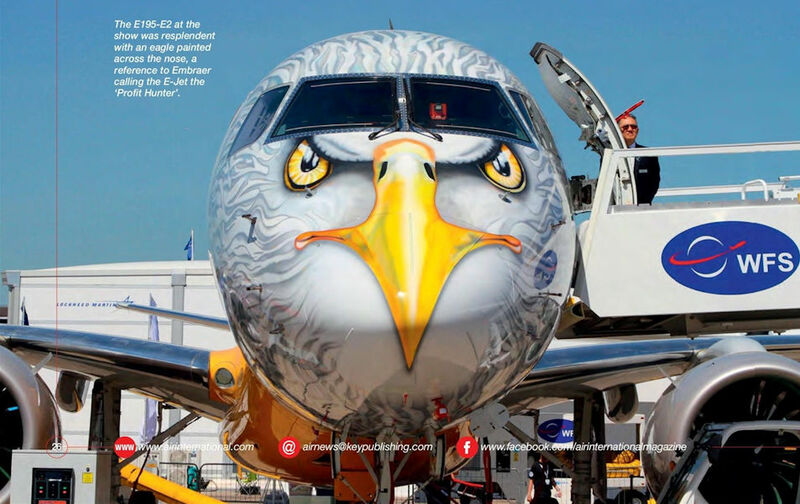 The E195-E2 at the show was resplendent with an eagle painted across the nose, a reference to Embraer calling the E-Jet the ‘Profit Hunter'. 29 марта 2017г. на аэродроме бразильской авиастроительной компании «Эмбраэр» в Сан-Жозе-дус-Кампусе начались летные испытания регионального пассажирского самолета нового поколения Embraer E195-E2. Первый полет длился 2 ч. 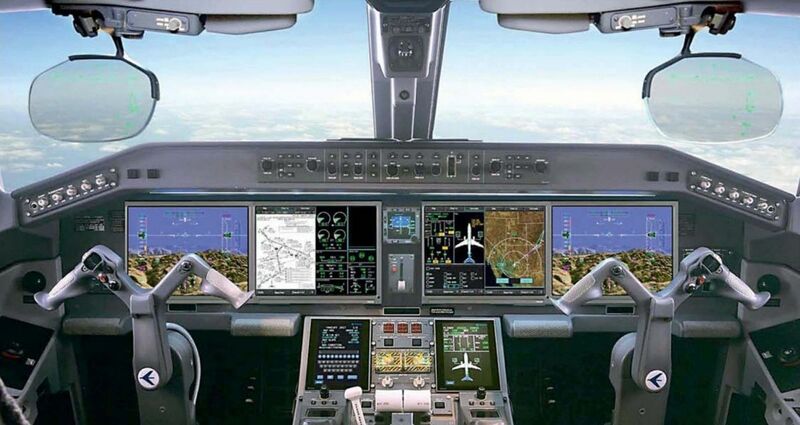 The E-Jet's E2 cockpits will feature four large display screens and 3D graphics to aid pilot situational awareness. 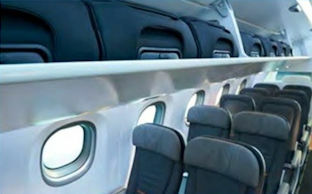 UK firm PriestmanGoode has been involved in the cabin that includes 18.3 inch-wide seats in economy, with two seats on either side of the aisle. 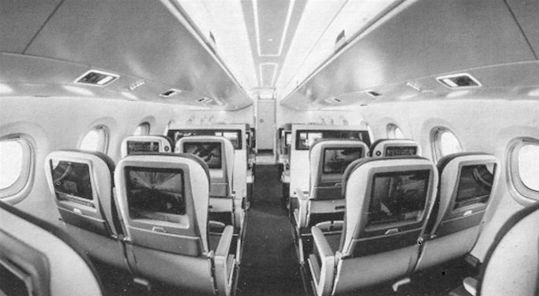 Compared to the earlier E-Jet the overhead stow­age bins have been enlarged and can accept the standard roll-on cabin bag, stowed wheels first. 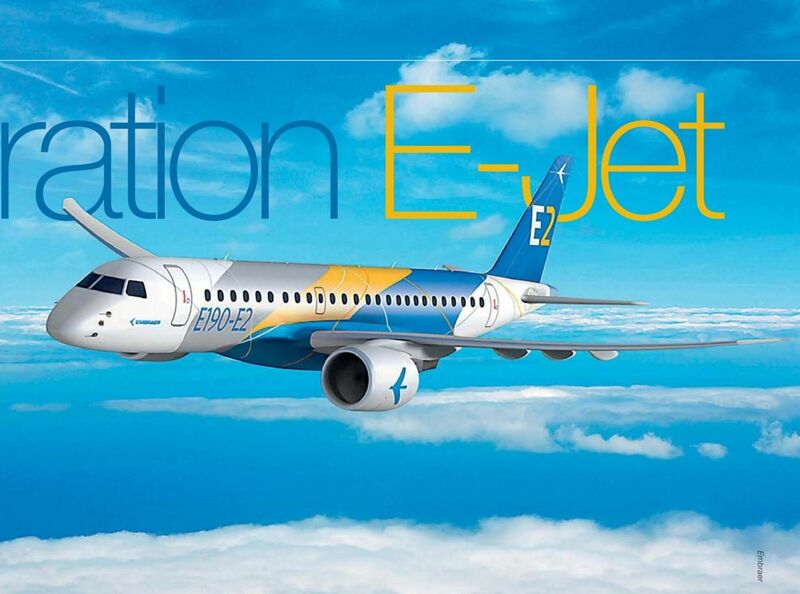 With the E170 not being part of the upgrade, the E175-E2 will be the smallest new E-Jet. 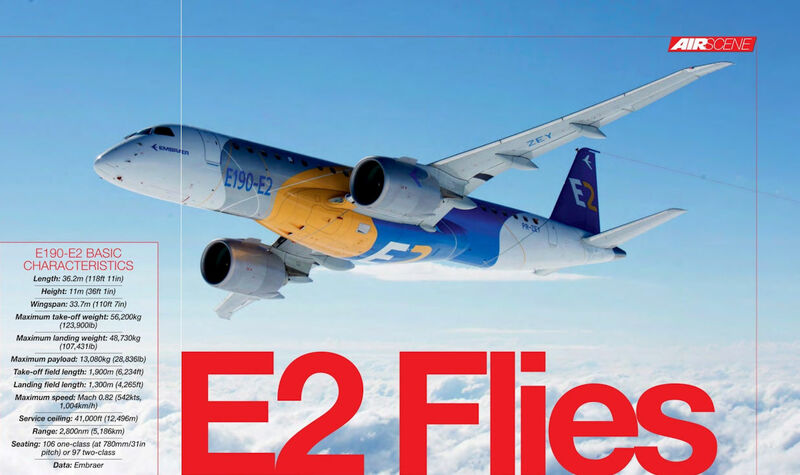 Embraer has commonality with the current E-Jets as a major focus in the E2 programme. 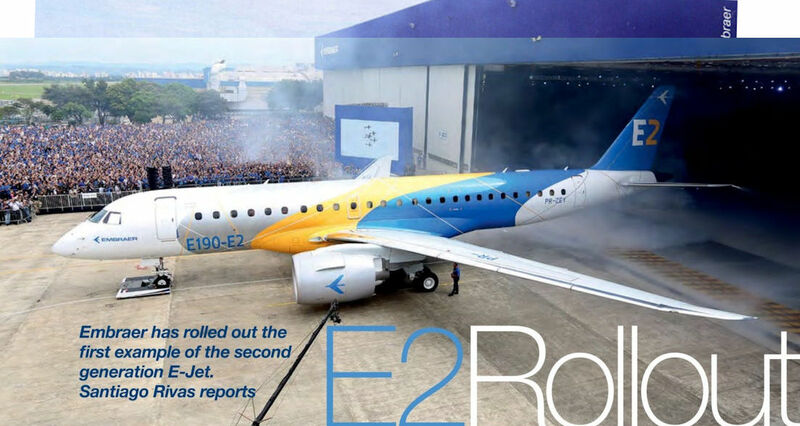 The E190-E2 is the first variant in the E-Jets E2 family, which has now received 267 firm orders plus 373 options. 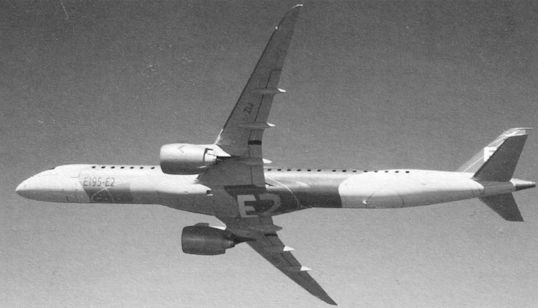 Leasing firm ILFC is one of the E-Jet E2's earliest customers.